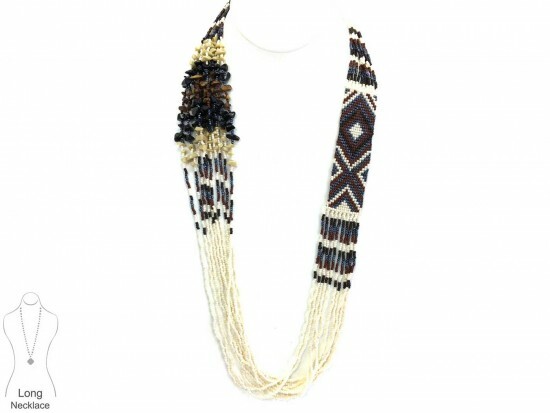 White Brown Woven Seed Bead Tribal Necklace Set. 10 Strand Seed Bead Woven in a Navajo Indian Tribal Pattern on one side, with Real Stone Mixed chips on the other side, and seed beads looped on the bottom side. Matching earrings. 36 inches long.